THANK YOU TO EVERYONE WHO MADE THE 22ND ANNUAL GOLF SCRAMBLE A SUCCESS! 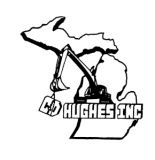 C & D HUGHES, INC. Copyright © 2012 CASA For Kids, Inc. Barry & Eaton Counties. All Rights Reserved.